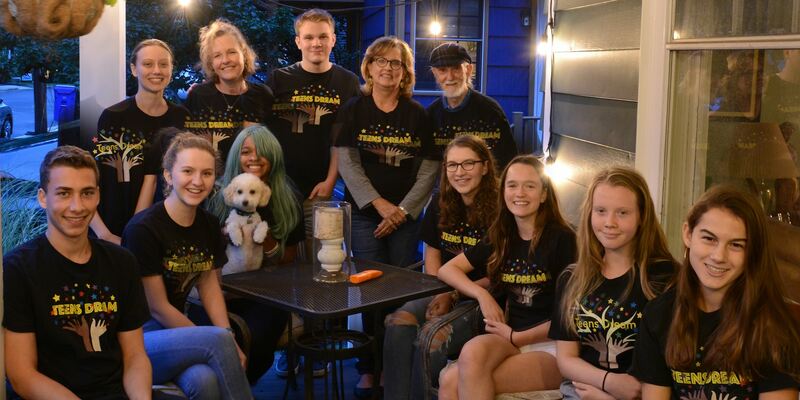 Our Team | Teens Dream Co Lab is a collaborative of teens and adults who encourage teens globally to be change agents in their communities, and the world! The Teens Dream Colab is managed by a group of teen and adult co creators from the greater Washington, DC area, with support from individuals, volunteers and partner organizations. Co-creators met in small living room gatherings over a number of months to create Teens Dream, working under the auspices of the Global Co Lab Network. Original teen co-creators were Jackie Abramowitz, Theodore Ammon, and Aysha Nunes. Current Co Creators include Sophia Alfred, Elizabeth Barker, Bonnie Cabot, Aidan Holland, Faith Hutson, Don Gangloff, Zachary Majd, Julie Murphy, Emma Rippey, Linda Staheli, and Evie Weinstock.